As a preferred electrical contractor to several home builders in the Houston area, IES knows that builders today are looking for a smart home solution. “We see delivering a smart home solution to our builders is a win-win. Builders need a solution and we saw this as an opportunity to increase our revenue in each home”, said Chris Brunner, Division Manager of IES North Houston. Brunner expects to see a 5-10% revenue increase in 2018 alone, and expects that to double in 2019. He expects to install a Clare smart home system in 700 homes in 2018 working with several builders in the Houston area. Mr. Brunner evaluated 4 other systems and made the decision to use Clare. “Our philosophy is to always take care of the homeowner first”, said Brunner. “We selected Clare as our smart home and security product line because of their attention to customer support and the Clare user experience. 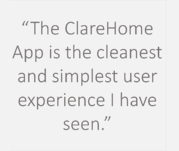 The ClareHome App is the cleanest and simplest user experience I have seen”. Jason Collman, Clare Regional Sales Manager, has worked closely with IES to help them design and provide a customized solution for each of their builders. “It’s been a pleasure working with IES. They are dependable, do quality work, and show a strong commitment to customer satisfaction”. 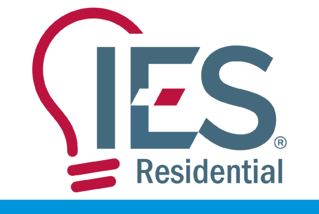 Visit www.ies-residential.com to learn more about IES Residential. Are your ready to partner with Clare? Be sure to check out our dealer playbook below!